TRANSLIT has a proven track record in translating documents and texts from and to Spanish taking into consideration cultural differences, dialects and target audience in order to provide high quality translation services. It is critical to make sure the end result looks and feels as naturally as possible. TRANSLIT has expertise across multiple industry sectors and utilises translation memory systems (TM) and CAT tools for large daily output and consistency. Spanish is, particularly in the bilingual regions of Spain, also called as Castellano (Castilian), due to its derivations in the territory of Castilla. Throughout the 16th and 17th centuries, during a sequence of linguistic developments and standardizing modifications, the language of the Spanish state formed into what is at present acknowledged as Modern Spanish. 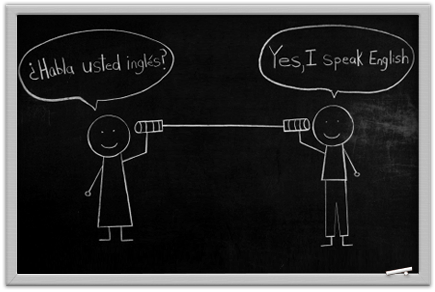 It is crucial to keep in mind though that spoken Spanish is not the same in various regions of Spanish state. In reality, its pronunciation and vocabulary can differ to a considerable extent from a place to the other. The Spanish speakers don’t differ only in Spain, but as we know after a long colonization a great part of the American continent is lived by Spanish speakers (Venezuela, Argentina, Mexico etc. ), that provide to grow up the spoken percentage of this language all over the world. Spanish is today the third most spoken language next to Mandarin Chinese and English in the entire world. It has been estimated that there are about 400,000,000 native speakers all over the globe. TRANSLIT only works with native speakers and linguists from Spanish countries allowing to keep the cost down and offer competitive pricing to our customers, while insuring the best result and highest quality. Each translator and interpreter is verified in terms of their experience, education, language skills and identification. TRANSLIT performs required due diligence on every freelancer as part of the recruitment process. To find out more about Spanish Translation Services, please contact us or use buttons below to place an order.